Dev Update 32: Updated Monsters, New Weapons, Never Say Die! » Dungeonmans! Dev Update 32: Updated Monsters, New Weapons, Never Say Die! Dungeonfans! Lots to cover today, not all of it is Dungeonmans related but it sure is related to gaming and adventure, stuff I know you enjoy. Still, I’ve tried to keep it all sorted with big headlines if you want to just get your quick scroll on, and the Dungeonmans stuff is up front. This will be the most Kickstarterest thing yet done in the Dungeonmans adventure, letting people into a genuine early alpha. This goes beyond the Summer Preview, this will be a chance to play a game as it is being developed, warts and all. Upgraded UI with mouse and gamepad support. Nine new masteries to start including totally redesigned Armor masteries. Lots of shiny new art and music. Lots of upgraded monsters! Hell there are even three *all new* Purpleonians and I’m not going to show you them because that would be spoiling! Bluebelle doesn’t afraid of anything. 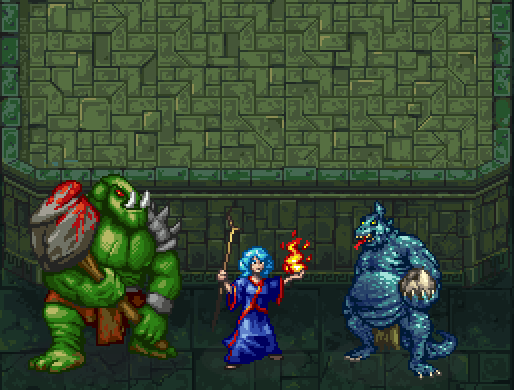 Dungeonmans on Greenlight: The SAGA(c)(r)(TM) Continues! 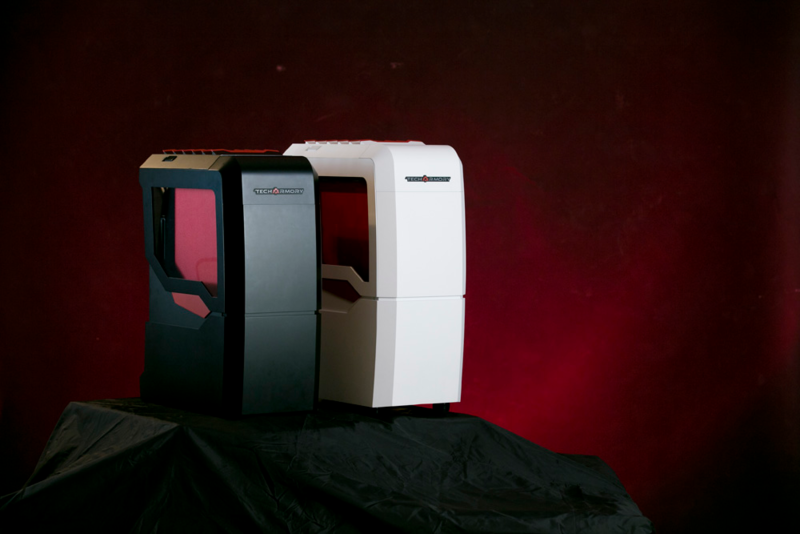 I’m a big fan of hardware experimentation and evolution, and while I don’t have the time and money to personally indulge in it very often, I’m always interested in what people are doing on the cutting edge. When the fancy tech dovetails with a story of dedication and hard work, I can’t resist. The Gladius is pretty wild, it might be ahead of it’s time or it might just be too crazy for our plane of existence. What makes it something I’m writing about here is the story of the small team behind the project. Tech Armory has busted their tails for years on trying to get this right, and if you’ve spent even the smallest amount of time with liquid cooled machines you know how the smallest design mistakes can multiply into a big sloppy a mess. Tech Armory worked for a few years on this project fueled by personal money, and they had scheduled a Kickstarter for later in 2014. However, as it often does, life and circumstance got in the way and just around New Year’s Day it was do or die: close up shop, or go out fighting with an earlier than planned crowdfunding campaign. So here we are. Yeah, I know, 6k/100k isn’t looking great, and you might also be thinking that roguelike players, who play free games with ascii graphics, aren’t exactly in need of submersion cooled war machines. All true! But it’s the spirit and courage of Tech Armory that moves me, and the more people that get to see their future tech, the better. Take a look, and maybe run that link by the friend of yours with seven spare PC cases and 3.2km of tubing coiled around the broken fridge in the basement. Never Say Die #2: The Adventure Game Store! The Adventure Game Store is my old hometown Friendly Local Game Store. If you’re enjoying Dungeonmans, you owe a nod of thanks to Brian and his crew down in sunny South Florida. In fact, the term “Dread Purpleonian” came from him as he was explaining a space battle minis game at a nearby table, decades ago. There really aren’t two words that describe alien menace better and more succinctly than those, right? I started slinging dice in middle school and never stopped. And while there were actually quite a few great game shops in South Florida during the 90s, this place feels like my alma mater. 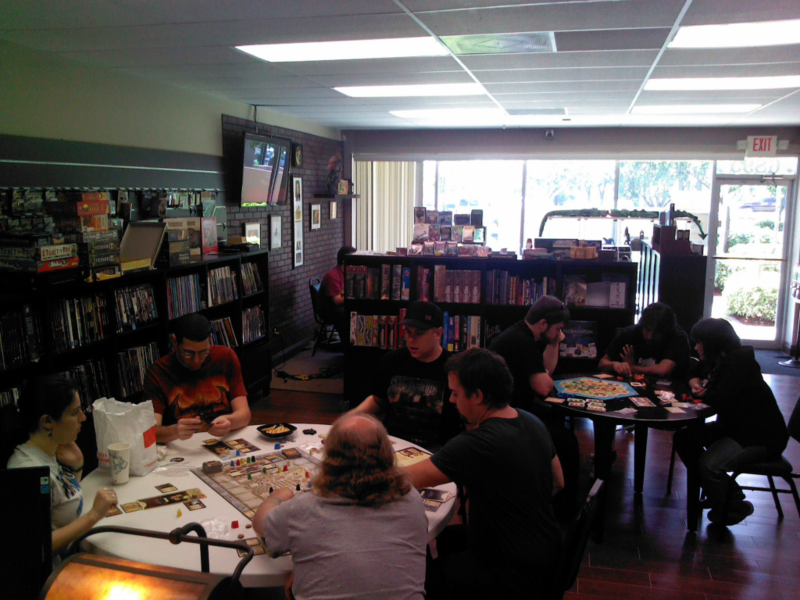 Endless games of all types were hosted at this shop, plenty of RPGs, Battletech, Warhammer, and oh man they had one of the most vibrant and friendly L5R communities. I remember bringing in a Ric Flair action figure clad in jade armor to serve as the emperor’s favor. They were the place where I picked up my very first copy of Knights of the Dinner Table. Anyway, who cares why am I mentioning this place? Because they should have gone out of business 10 times over now, and yet they live– they thrive! There were the downturns of the late d20 era when lousy game content flooded the market. There were, in grand South Florida tradition, multiple storms that ripped off ceilings, tossed around air conditioners and generally brought wrack and ruin to many businesses down there. They’ve moved… six times? Seven? When things were looking good, they’d expand into a bigger location with more room for play tables and extra displays. Then one bad thing happened, and another, and they’d move or shrink and each time it seemed like there’s no way they’d bounce back. At one point the shop was down to what was basically a cubby hole in a strip mall, barely large enough for two tables… AND the AC was broken. But bounce back they did! There were plenty of chances to quit, plenty of opportunities to give up, but The Adventure Game Store lives on. They’ve picked back up on their feet, expanded to a larger (and air conditioned!) space with a fancy new gaming table to boot. They just recently celebrated their 25th Anniversary! 25 years of spreading the fun and good cheer of the world’s greatest hobbies, I can’t help but be inspired. I’ve just started on my own solo adventure, and I hope when metaphorical hurricanes come and metaphorically rip off my metaphorical roof and air conditioners, I’ll have the same courage and tenacity. This month (or late last month, or some other dates depending on whatever who cares) D&D turns 40. Anybody who’s ever played an RPG, hell most video games really, should take a moment to think about how the jolly pastime of crushing monsters and taking their stuff came to be. I’ve run countless tabletop games, in every city I’ve lived in, and it has informed every aspect of how I work, play, and do business. Rogue itself, our genre’s progenitor, was inspired by D&D decades ago. There’s plenty of articles out there on the Anniversary, and more news to come as we approach the weekend, but I’ll share with you this excellent video sent to me by a friend this morning that takes a thoughtful and interesting approach to the genesis of the game. Watch it over lunch! Dungeonmans Closed Alpha: January 27th! 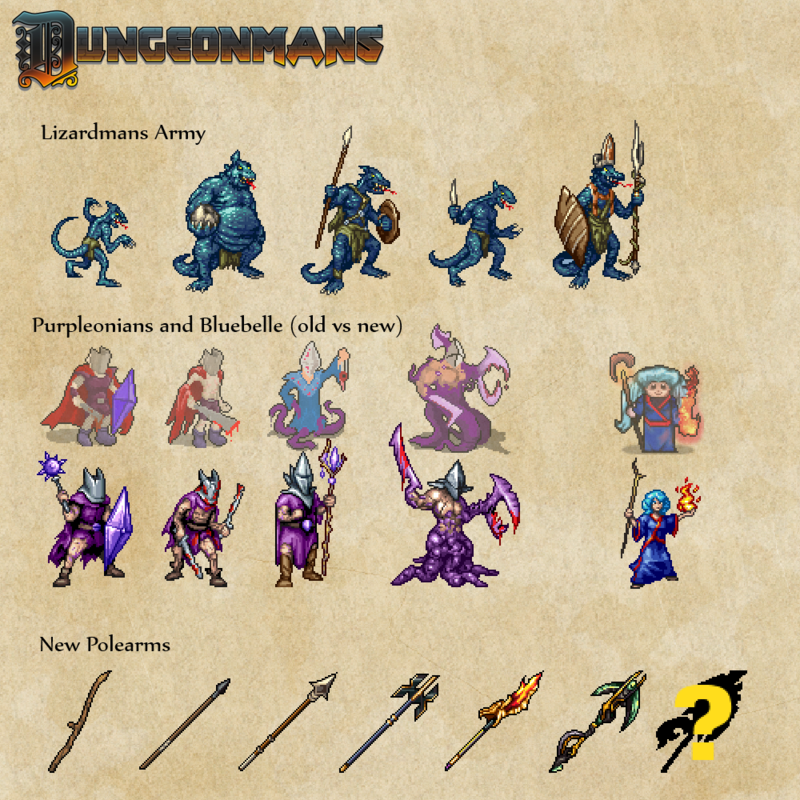 Dungeonmans Alpha 1.1 Patch Notes!